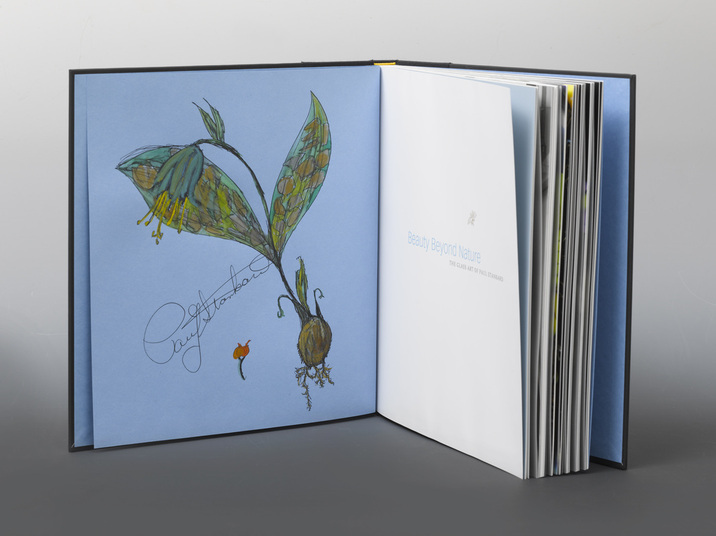 This special edition features a one-of-a-kind rendering hand-drawn and signed by Paul Stankard with hand-applied coloring by his daughter Katherine Stankard Campbell. (Click image to see larger version.) This unique work of art will be available for this special price for a limited time. "These images are indescribable and must be seen to be believed." "A large format, liberally and beautifully illustrated book ..."
It wasn’t until the 1960s, when Paul Stankard, a highly skilled American scientific glassblower, began to investigate the local flora of the Northeastern United States and encase his lovingly rendered studies in glass, that the botanical orb moved from decorative art object to one-of-a-kind expressive statement. Unlike the colorful millefiori (thousand flowers) patterns typical of 19th-century French production paperweights by Baccarat or Clichy, Stankard's artwork is the product of highly refined techniques at the flameworker's torch, where, over more than four decades, he's developed intricate sculptural compositions that teem with fertility. As the work evolved technically, so did its scale and complexity. Yet every piece offers an unexpected intimacy to the viewer who gazes with purpose, rewarding those who look closely with exquisite details of a petal, leaf, or stem. There are also hidden features only discovered while viewing the work from multiple angles. Turning the piece upside down, for example, reveals that these are not cut flowers frozen in mid air, but are rooted in the earth and rendered with intact root systems. In a subtle flourish, Stankard at times incorporates Magical Realism in the form of human figures entwined in the roots, underscoring the metaphoric aspect of his work. 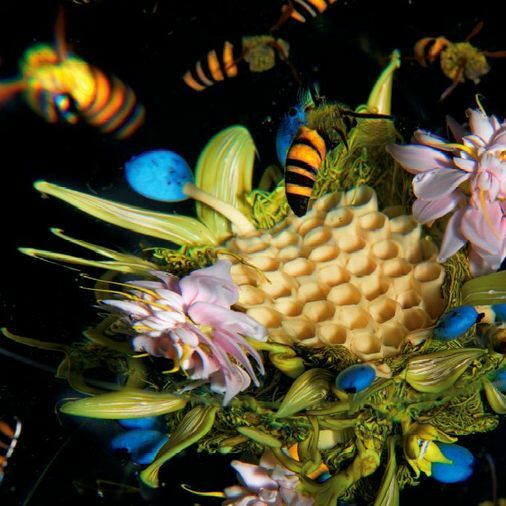 Viewed from above, insects, usually honeybees, will sometimes circle the scene, adding layers of form and meaning with depictions of pollination and the cycles of life. 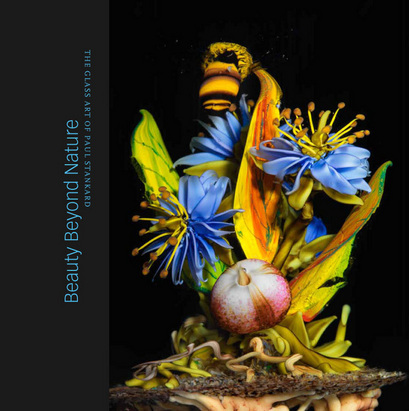 Lavishly produced and featuring more than 120 images, Beauty Beyond Nature offers a new way of understanding the accomplishments of a true American master and his development from his earliest attempts at capturing a daisy in glass in 1969 to his glorious 2010 orb encasing a honeybee swarm. Stankard's finely wrought organic detail is illuminated through never-before-seen high-resolution photographs enlarged and printed with the highest production values to create a unique book that is itself a work of art. A major essay by noted art critic William Warmus examines Stankard's career, his place in the art world, and how he has become a master at distilling the essence of organic form through refined compositions of color, symbolism, and atmosphere. An in-depth interview with the artist by GLASS magazine editor Andrew Page offers new insights into Stankard’s life and career. 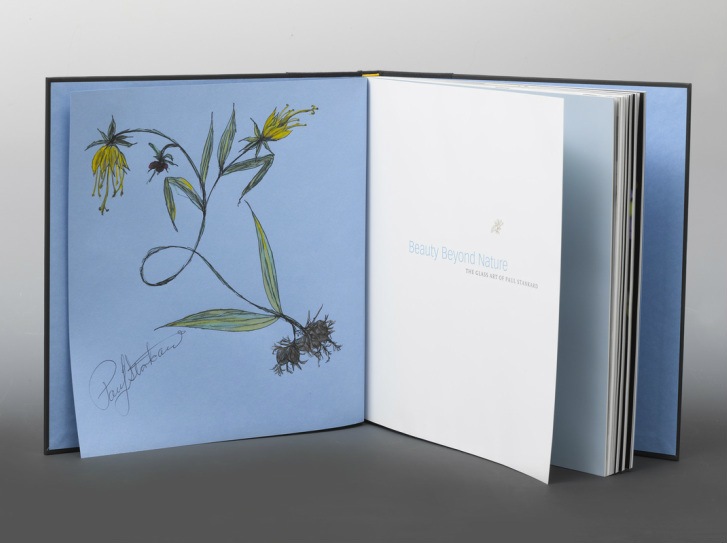 In words and images, Beauty Beyond Nature reveals Stankard's work as powerful touchstones that connect us to the potency of the natural world and remind us of what it means to be alive. 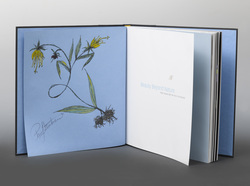 These unique remarked editions include botanical renderings hand-drawn onto the book's opening pages by Paul Stankard and then watercolor and gouache are added by his daughter Katherine. Timothy Close is the former executive director of the Museum of Glass in Tacoma, Washington; Robert Minkoff is the founder and trustee of The Robert M. Minkoff Foundation, a nonprofit organization dedicated to promoting the understanding, appreciation, and overall success of the glass arts and to support human services and provider organizations worldwide; Andrew Page is the director of the Robert M. Minkoff Foundation, Ltd., and editor-in-chief of GLASS: The UrbanGlass Art Quarterly; and William Warmus, the former curator of twentieth-century glass at the Corning Museum of Glass, is an appraiser, critic, and independent curator specializing in art made from glass. Watch a video of Paul Stankard at work from an episode of the series "Craft in America."